What does it mean when the oil pressure light beeps and lights up then it stops then it starts again...this happens every time I press on the breaks and/or when I`m not pressing on the gas and just letting it run??? Last edited by ptjc2004turbo; 04 Oct 2008 at 01:51 pm. Give us a hint on what you checked, what year of PT, NA or Turbo, where you are from. What you have told isn't much. Check your oil level . 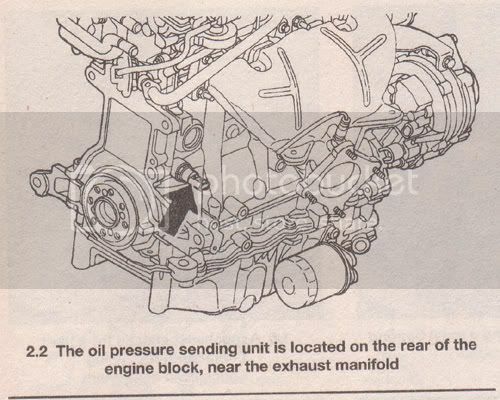 The oil pressure sending unit is a weak link. Have it checked to see if it is leaking. any codes popping up ?? Welcome to the forum (you forget that one Bob). I'd go with two of the answers above. Check your oil level and could be a bad sending unit. Sorry to bump an old topic with my first post, but this thread is exactly what's going on with my wife's PT (looks like same engine and symptoms). 2) If I can't get to this for 4-5 days, will she kill her engine (~45-50 minutes and 20 miles total daily, mix of city and highway)?